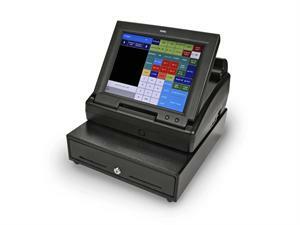 Royal TS1200MW Cash Register is designed to be easy to use, helping you to focus on running your business. This cash register has a touch screen. You perform most cash register functions by simply touching the correct key on the screen or using the corresponding menu. The easy menu system on this cash register prompts you through many tasks you perform. 12" color LCD touch panel with user prompts for easy operation. Easily program each of the 200 departments with name or description of up to 12 characters. Also, program the appropriate tax rate & individual unit prices. Each department can be set with special features such as gallonage for sales of measured items. 5000 price look-ups! Easily program 12-character names or descriptions to identify each PLU. Reports print sales activity of each PLU. Multiple price levels for each PLU allows for discounted prices/various prices for different times such as during Happy Hour or a lunch menu vs a dinner menu item. This feature is also usful in retail mode for clearance items or end-of-day sales. 2 Serial ports to connect bar code reader (optional) to the register & connect your register to your PC. Optional alphanumeric termal printer is fast and quiet. Multiple price levels for each PLU. Allows for discounted prices or different pricing during Happy Hour or for lunch menu vs. dinner menu. Age Verification - On screen prompts warn the clerk to check customer's ID & verify their age for certain products. Up to 2 different ages can be set such as 18 yr old for tobacco products & 21 yr old for alcohol. Table tracking allow floating guest check & table transfer. Remote Printer - One remote kitchen or bar printer is supported.